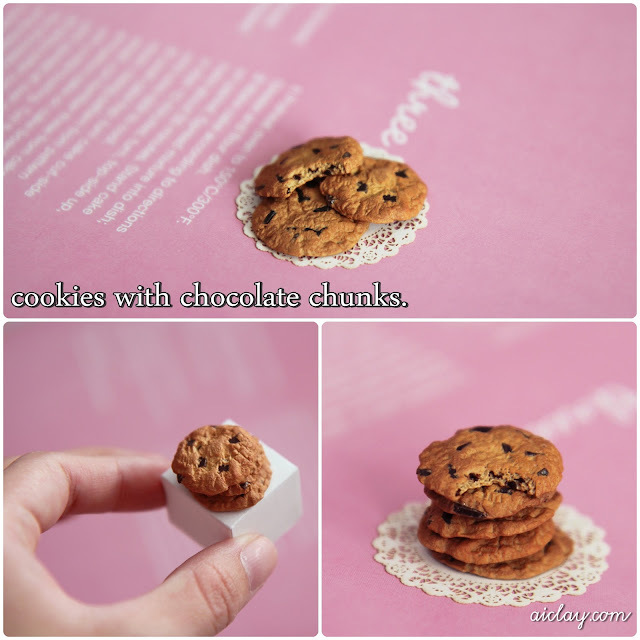 AiClay - a Haven of Miniature Food: My last cookie. It's been so long since I last had a cookie, let alone bake some. I do miss the wafting smell of cookies from the oven, seeing as I arrange my schedule every day, I should really clock in a baking session one day. Hubiese jurado que eran reales, parecia hasta que las podia oler.